The Bank of England had a bad crisis. It needs a major rethinking of its role, goals and operating philosophy. The opportunity is at hand. Mervyn King, the current governor, leaves in June 2013. The UK central bank can defend its record. It was merely following the crowd in not noticing the excesses which led to the financial crisis of 2008. Over the last five years, the annual inflation rate of 3.3 percent is only slightly above the 2-to-3 percent target range. And since the crisis, the BoE has not been shy about testing unprecedented policies. While there is some validity to each of those claims, the arguments for a radical rethink are stronger. To start, in the 2000s the BoE was not beguiled by new financial logic, but by a familiar problem: the second housing bubble in two decades. Its tepid response can’t be excused. Furthermore, financial market participants often complained during the crisis that the central bank seemed ill informed and inflexible. While the recent record is better, a governor from outside will be less likely to lead the institution back into insularity. Then there is the BoE’s unimpressive role in the manipulation of the Libor lending rate – unquestioning in good times, unclear in the crisis and unpersuasive in its recent explanation that it never countenanced deception. Finally, the central bank’s remit has been widened to include macro-prudential regulation, keeping banks and shadow banks safe and economically supportive. Since financial institutions won’t show self-restraint on their own and will lobby the government, an effective regulator must understand the wiles of bankers and politicians. The BoE is too academic and innocent. The British central bank needs a cultural revolution. A truly new face at the top is far from sufficient, but it is necessary. The ideal leader would understand banking and monetary economics, but also be aware that the theories and models used by all central banks, Bank of England included, have been found wanting. He or she would also be able to communicate with the public, and inspire the staff to think differently. The dream governor would be international in outlook – the UK is too small and open an economy to have a truly independent monetary policy – and able both to get along with and stand up to the powerful at home. Paul Tucker, a Deputy Governor, is the current favourite. Whatever his other virtues, his long time insider status – he has worked within the walls at Threadneedle Street since 1989 – should be enough to disqualify him. None of the people on the presumed shortlist lives up to the ideal. Sharon Bowles, truly an outsider, is clearly energetic and shows a welcome mistrust of bankers. However, she would be a novice in an extremely challenging role. Terence Burns is an economist and has a distinguished record as a civil servant, but has not shown any scepticism about the financial establishment. Adair Turner has strongly criticised the banks and has the right expertise and experience. However, as chairman of the Financial Services Authority since 2008 he has not shown the sort of bureaucratic expertise, nor demonstrated the leadership or authority that a governor needs. John Vickers is the strongest candidate. He is a distinguished academic economist, but not a slave to conventional monetary thinking. He has worked at the top level of the BoE, but left, untainted, in 2000. 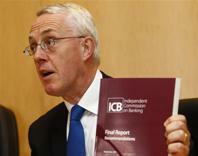 Most important, his commission on UK banking succeeded in infuriating many bankers by making sensible recommendations. In person, he is more thoughtful than assertive, but that may be the best way to encourage more daring thinking in an institution often described as excessively hierarchical. British bankers would hate the appointment of Vickers. So would many old-timers at the BoE. And the government might find him too independent for their taste. But the nation should – and ultimately would – be grateful. The British government is in the final stages of selecting the governor of the Bank of England, who will replace Sir Mervyn King when his term ends in June 2013. The decision is expected to be announced by the end of 2012. The shortlist has been reported to include Paul Tucker, the BoE’s current deputy governor; Lord Burns, chairman of Santander UK; Sir John Vickers, chairman of the Indepedent Commission on Banking; Lord Turner, chairman of the Financial Services Authority; and Sharon Bowles, Liberal Democrat MEP.